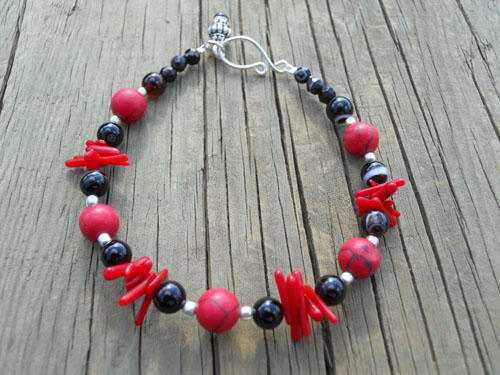 This red coral & black agate bead bracelet is separated by pewter & dyed red jasper. Finished with a handmade silver closure. Measures approx. 8 1/4 inches.